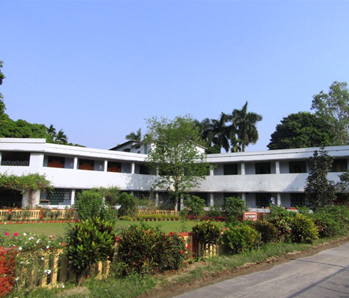 Ramakrishna Mission Vidyalaya, Narendrapur, Kolkata is an entirely residential school founded in the year 1958 on the ideals of Man making and Character building, enunciated by Swami Vivekananda. The school is affiliated to the West Bengal Board of Secondary Education and West Bengal Council of Higher Secondary Education. About 875 students are studying here from classes V to XII. In classes XI and XII, students can study only in science stream. 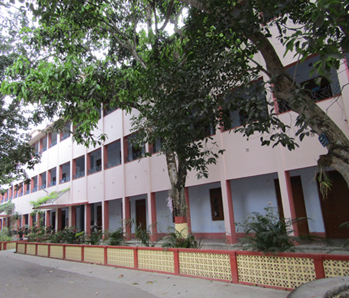 The entire Vidyalaya is divided into two sections, Junior Section (for classes V to VII) and Senior Section for students of classes VIII to XII. 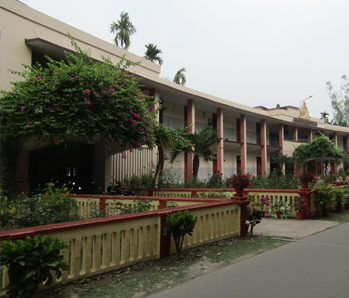 Students live in about 10 hostels which are named after the monastic disciples of Sri Ramakrishna Paramahamsa Deva, with 80 to 120 students living in each hostel. The academic session starts in January and continues till December. The school function in two halves, with first half functioning from 9-25 a.m. to 12-20 p.m. and second half functioning from 1-15 p.m. to 4-10 p.m. The Vidyalaya has provisions for many hobby activities too. For senior section students, a special hobby club is conducted in which students can take part according to their interest and can make various projects. Special importance is given on punctuality and discipline. There is a cordial relationship between the students and the teachers. Students call their seniors as "Dada" which means elder brother in Bengali. Games and sports are an integral part of our daily routine. Every morning we are given physical education training under the supervision of our P.T. teachers. Cricket and Football tournaments are organized every year and an annual sports meet is held at the Ashrama stadium in January/February. Apart from this, students are encouraged to take part in co-curricular activities too. Throughout the year various intra and inter school competitions like debate, elocution, essay writing, extempore speech etc. are held here. We celebrate our national holidays in glorious manner with special parade staged by the Vidyalaya cadets. Swamiji Jayanti, Netaji Jayanti are celebrate by us too. 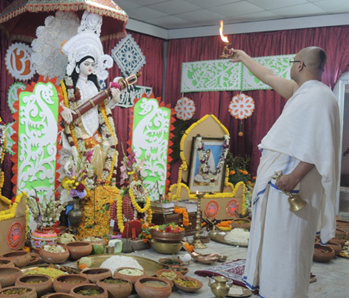 The school celebrates festivals of different religions with due respect. An annual exhibition is held every year in which students exhibit various subjects related to science and non science groups. Many famous personalities visit the school often and inspire us. Thus our Vidyalaya provides all facilities to groom us into an all round personality.